There exists a phenomenon in England that is oft overlooked. One so widespread and universally accepted that it is virtually a non-issue. 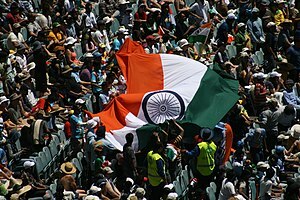 And that is the debate, or lack there of, of who to support when India plays England in cricket, for UK Indians. I was recently posed with the question by my American colleagues, who asked why I supported India when they were playing England in the recent ICC Champions Final… in England! I was branded a ‘sell-out’. It’s an interesting point to consider, given the virtually unquestioned, sweeping support for the Indian team all across the UK Indian diaspora. It is indeed phenomenal that roads and streets are closed in England, when India win tournaments as a result of celebrations of supporters. Something that happens possibly in no other nation. England is the country which gave many opportunities to immigrant families, including welfare and benefit. The country provided jobs, housing and citizenship. Therefore why not support them? My opinion on this sensitive issue, is that it is a way in which UK-born and Indian-born citizens in England, maintain a sense of pride and connection to their motherland. Obvious, somewhat. But I would say the nexus is more profound. Where music and football may primarily exist only in the realms of second-generation born Indians, Indian cricket has become a common ground where the interests of the first-generation meet those of the second. For many Indian parents, it is their hope that their children grow up with a sense of awareness to their homeland roots, and for many young people, sport is one of their most captivating pursuits. The Indian cricket team is the bridge between the two. Youngsters may disagree with the country’s politics, attitudes and certain values, therefore cricket gives something non-contentious and inspiring to be proud of. It is interesting that many support India, subconsciously, without actually considering England as a first team. And I believe that supporting India isn’t always a conscious decision, but a natural one. Due to being raised in an Indian cultured and Hindu/Sikh-centric home from birth, there will naturally be an affinity to that team. Having said that, there will be a margin that do not support India principally. Is there anything wrong with this? Absolutely not! Supporting England, as that is the country of citizenship is perfectly fine. After all, Indians will almost certainly give full support to England in the football and Andy Murray in the tennis- so why not the cricket too? One point which I think was particularly disappointing was the Indian supporters jeering at Ravi Bopara, the England player, no doubt jibing at his Indian heritage. 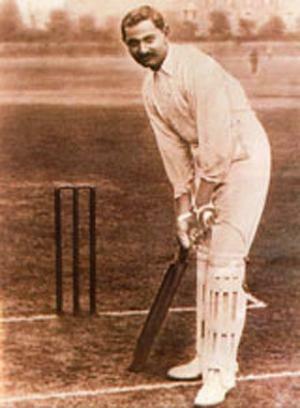 He took 3 key Indian wickets and scored the second highest runs in the final. When one lives in England, and are blessed with this talent, then obviously they will play for their country of citizenship. He is just doing his job. In fact, over recent seasons, there were 3 Indian players called up to the England national team- Ravi Bopara, Monty Panesar and Samit Patel. People forget that having over 25% of the England national team of Indian heritage is a massive achievement; for an ethnic minority group that makes up only 2% of the population. My hope is that for those who support India so passionately, they don’t forget that there is much to be proud of and to support in their country of citizenship too. And that if they themselves have a talent for cricket, they can depend on the UK-Indian community for support too. In doing so, though there may be only one winner at the end of the game, the Indian people still win on both fronts. Partying on Ilford lane when India won the 20/20 world cup, 2007. It is a phenomenon that streets are closed to allow for Indian celebrations.